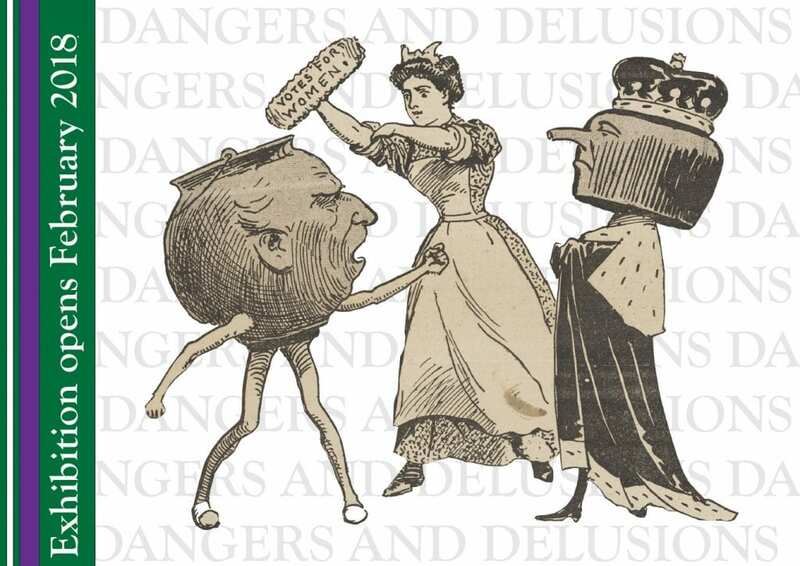 These words may sound like they’re promoting woman as a domestic figure, but in fact they’re from the satirical Anti-Suffrage Alphabet, which playfully imitates a rhyming children’s alphabet book to ridicule the arguments used by anti-suffrage campaigners. One such argument was that a wife and mother was the moral centre of a household, and that this role would be diminished or corrupted if she took a more active role in public life. The Alphabet’s creators contend that this supposed moral purity was already compromised, as a husband was meant to be the final decision-maker in all non-domestic matters, whatever a woman’s own beliefs and values were. The Alphabet is held as part of the Laurence Housman Collection, which will feature heavily in next year’s Main Library exhibition “Dangers and delusions”? Perspectives on the woman’s suffrage movement, set to open February 2018. For more daily Advent-inspired definitions from our Rare English Dictionaries collection, follow @UCLSpecColl on Twitter.